et la plus puissante du marché. equipment and centralized host computer systems. 1.5" Square Iridium Antenna, Back Mounted Configuration, SMA Connector Black"
The Iridium 9602-N is the next generation SBD unit designed for embedded applications and is ideal for machine-to-machine (M2M) solutions. The Iridium 9602-N sends and receives packets of data over signaling channels making it suitable for integration into a variety of partner M2M solutions. 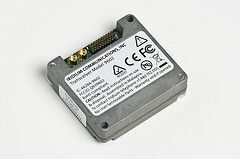 It is a smaller size and form factor to its predecessor, the Iridium 9601 and includes a GPS pass through port for connection to a GPS antenna or receiver. 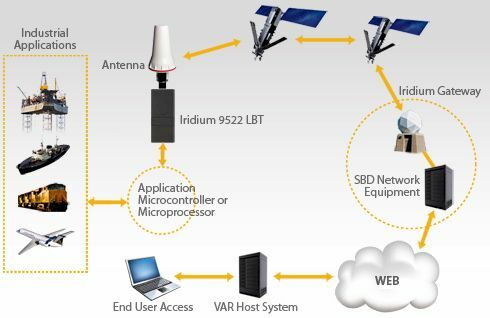 The Iridium 9602-N is designed to be integrated into a wireless data application with other host system hardware and software to produce a full solution designed for a specific application or vertical market. 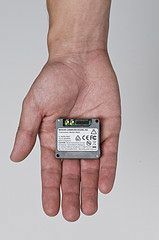 It is smaller, lighter, and lower cost than its predecessor, making it ideal for integration into machine-to-machine (M2M) solutions such as automatic vehicle location, asset monitoring, marine and personal tracking applications – everywhere. 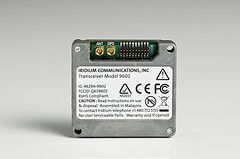 The Iridium 9602-N is a single board unit designed as a ‘black box’ transceiver module with all device interfaces controlled by a single multi-pin interface connector in addition to the antenna connector. The device interface across the user connector consists of a serial-data interface, DC power input, network available output and a power on/off control line. The Iridium 9602-N does not incorporate nor require a Subscriber Identity Module (SIM) card to be inserted into the transceiver. 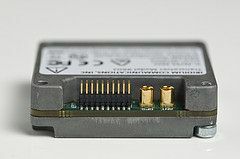 The Iridium 9602-N is intended to be used as a transceiver module fitted within another host system.